Wacken – LESS THAN 10.000 TICKETS AVAILABLE! LESS THAN 10.000 TICKETS AVAILABLE! The pre-sale for Wacken Open Air 2018 turns into the home straight. Less than 10.000 tickets are still avaible for the festival, about three months before we open the gates again. If you want to be part of the biggest metal party of the year, you should order your tickets now. Tickets for W:O:A 2018 are as always available here at Metaltix.com! You´re too late – Vainstream is now SOLD OUT!!! Unfortunately, P.O.D. is forced to cancel their show at #GMM18. This resulted in a few line-up changes on Saturday. Metalcore fans rejoice because melodic metalcore outfit Our Hollow, Our Home will be kicking things off at the Jupiler Stage, while Stray From The Path will open Main Stage 2 on Saturday. Backyard Babies will open Main Stage 1 and Vixen will go one spot up! Ticket update! Proud to announce that after the combi and VIP tickets, the one-day tickets for Friday 22 June, with Iron Maiden and Parkway Drive headlining that day, are sold out now too! 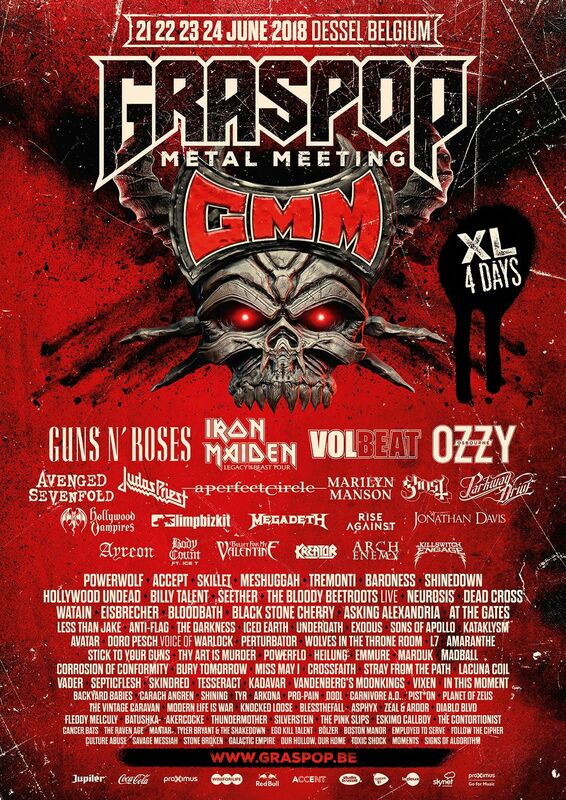 Want to be part of #GMM18? We still have one-day tickets for Thursday 21, Saturday 23 and Sunday 24 June for sale. Should you still prefer a ticket for Friday or combi XL ticket? Best to register for the waiting list on the occicial homepage. 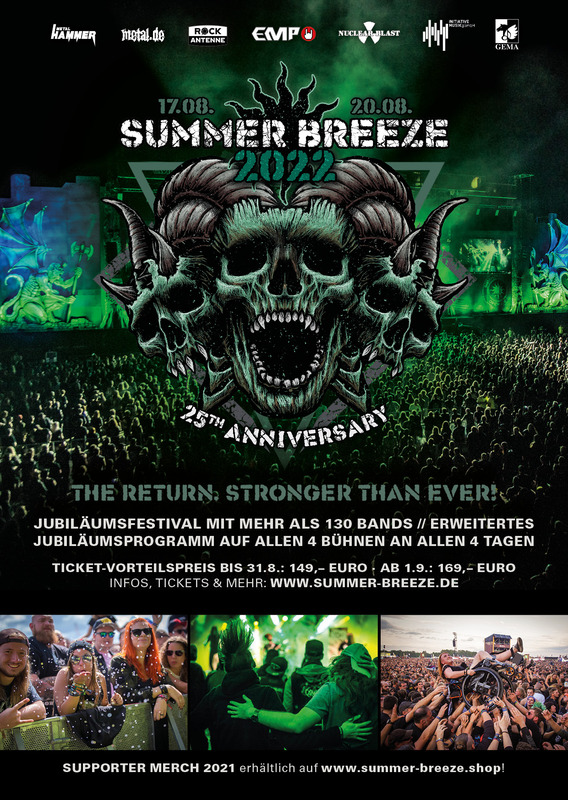 Summer Breeze 2018 – more bands confirmed! SUICIDAL TENDENCIES, MUNICIPAL WASTE, PERTURBATOR and many more are new on the lineup! Skindred area reggae meets metal combo and thus not only quite the exception, but also exceptionally awesome party guarantee. 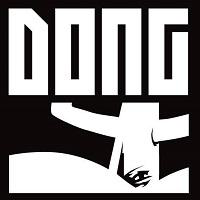 They are bringing their brand new album and have set out to make the Dong hill the Olympus of Rhythm! Moonspell have created a true favorite of the critics with their new album. About time the Portuguese grace the Dong with their dark live qualities! After six years of abstinence, our friends from Drone are finally coming back to see us! We are in for an energetic thrash show with a more mature Mutz as stage hog! And Vogelfrey came back in! So we’ll have yet another folk metal force to make that tent flutter. Last but not least, we have a little cherry on top of your Sundae: Visigoth, the heavy metal act of the hour, will come all the way from Salt Lake City to have you cheer! The lineup for 2018 is complete! Like it? Get your ticket now, either in our own webshop or on Metaltix.com! Don’t be late, we are currently seeing a fantastic ticket sale going down. Today, we’ll hit you with another one! Blaze Bayley is going to be at the Dong Open Air 2018! The congenial ex-Iron Maiden singer has a brand new album and a very successful tour to go along with it. It’s time for heroes again: the Grailknights, too, carry a new record under their capes and won’t miss Mount Moshmore! Last but not least, we have selected lovely thrash from by Fabulous Desaster for you – get fit for the pit!